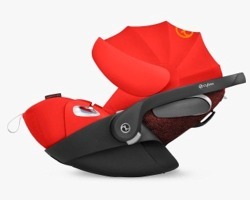 Cybex Cloud Z - The child seat is equipped with a Linear Side-impact Protection (L.S.P.) System, which – in combination with the energy-absorbing car seat shell – significantly increases your child’s safety in a side-impact collision. The Cloud Z i-Size can be changed to a lie-flat position outside of the car and features 11 easy-to-adjust headrest positions with integrated harness guides. To make it easier to get your child in and out of the car, the seat can be swivelled to the door side of the car, thanks to the innovative Base Z mechanism. 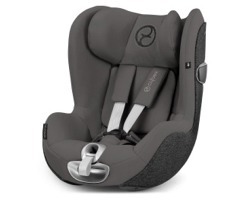 Cybex Sirona Z - The Sirona Z i-Size is a new car seat in the CYBEX Z-Line that can be rotated a full 360°. 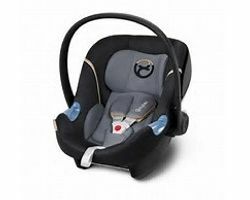 It offers simple door side boarding of your child and is easy to switch between rear-facing and forward-facing position. Its 12-step adjustable headrest and 5 reclining positions make this seat extra ergonomic. 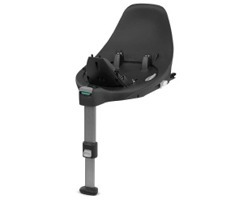 Cybex Z Iso-Fix Base for Cloud Z and Sirona Z - The Cybex Base Z provides a safe and easy way to install your Sirona Z i-Size or Cloud Z i-Size car seat using your car's ISOFIX connectors. Together with the Base M and the Sirona M2 i-Size the Aton M offers innovative functionality and thought-out design that grows with your child.